T-Mobile USA is the newest member of the Ubuntu Carrier Advisory Group. T-Mobile USA reaches almost 300 million American consumers and business people today. As a member of the CAG, T-mobile USA will join discussions to influence the development of Ubuntu for smartphones. As T-Mobile continues to look for ways to differentiate from the likes of Sprint and AT&T, perhaps joining the Ubuntu advisory group is one way to do exactly that. Canonical is making a concentrated effort to make sure carriers won’t be able to exert too much control over the operating system’s look and feel. As Ubuntu’s community manager Jono Bacon said as OSCon, Ubuntu is looking to prevent a world where interface fragmentation ala Android. 2. Deep content immersion – controls appear only when the user wants them. 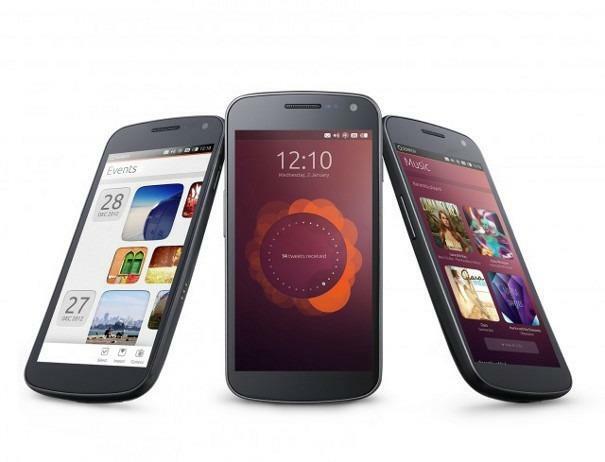 Would an Ubuntu smartphone entice you? At the very least, perhaps T-Mobile will sell this one in stores…hint hint. I cant believe tmobile is getting so much better in such a small amount of time. Personally, I have no interest in this but I’m glad to see that T-Mobile is making some sort of attempt to diversify themselves. Ubuntu is a great, slim, OS and should do great on mobile devices. I would install it on my note 2 of it worked. This is a great move for Magenta. Ubuntu Edge going to be carried?? No, because it won’t be sold to anyone. The only way you can get it is by pledging to the campaign. 2. Deep content immersion — controls appear only when the user wants them. Hardly. Before you make comments like that, I suggest you actually put brain to eyes before brain to mouth.. lol, might want to check out the Indiegogo crowd funding campaign. Ubuntu is not Windows 8. I did oversimplify. My comment was actually meant to be positive. I like windows 8 and I own a surface and I use windows phone. I was pointing out that a lot of the basic concepts are similar. Not a 1 to 1 copy, but similar. Also, I have used the Ubuntu Linux on a desktop and I liked it. Being that this is a website for T-mobile supporters, I am sure you guys would agree that T-mobile supporting a new platform is positive regardless of how anyone feels about a specific platform. I just heard Android users occupy 80% of smartphone users now. Whether it’s Firefox, Tizen or Ubuntu, I doubt if any of these new OSs will have success. Android packs a lot of power. However I feel like any OS with smooth gestures will be appealing to the future smartphone user. Ubuntu has a good chance there is already a community backing this device and its the very same that back ubuntu linux in the PC world this is supposed to be more capable more like an actual PC in your pocket. That’s the beauty of the Ubuntu Edge, it dual-boots Ubuntu and Android so people won’t have to “give up” Android to try/enjoy Ubuntu. I’ve already donated $650 to this project, am very excited to get my hands on the final project. May 2014 isn’t that far. I wish that I had gotten in at the $650 level. As it stands now, I would have to wait until close to the deadline to jump in, so it will probably be only $830 left by then. Sadly, the campain has fallen behind the curve for it to make it’s $32 million. It needed to make 1.1 million a day. It’s just at 8 million with only 19 days to go.. Unless some major capital comes in, you’re going to see a refund on that donation. I can see this being one of those things that has a last minute push. If I can donate, it will probably be right around the end date of 8/21, I think. All but the $20 donation gets at least one phone for the donation. There are tiers for more phones, as well as a $10,000 tier for VIP status. Edit: the site also lists a $30 donation, but that is to cover shipping costs for those outside of the US and the UK. I see that they have added a $50 tier that includes a T-Shirt now. I saw that some people were suggesting this because some people want to support this project with more than $20, but don’t have the $600+ to do the phone donation. WTF? What’s that you say? That includes Tmobile’s roaming partners? Oh! Do you get a generous roaming allowance so that you can almost say “300 million” with a straight face? 300 million? Are we in some alternate universe where Deutsche Telekom actually invests in TMUS? It feels like the twilight zone. They’ve reached that many customers for a while. 2g coverage is pretty good. So, essentially, there is zero chance Verizon will join this. That’s a shocker. I wonder if they actually plan on living up to their end of the bargain. Carriers are not the primary problem related to screwing around with the UI. The OEMs are far more (maybe about 80%?) responsible. They might be referring to BLUR and TouchWiz. Will it run pre-existing ubuntu apps (with minimal changes)? if he said i had s4 and my wife had an optimus and we had totally different experiences fine…failing to mention that your $600 android gave you a different experience than your $200 android is misleading…if a $200 device gave you the same experience as the $600…why buy the more expensive? you wouldn’t! if they were both $600 androids and you had totally different experiences….you don’t belong near a smartphone! Sorry, but Windows PC isn’t fragmented nearly as much. I can get 90% of all Windows programs to work on Windows 8. The only part I would say is “fragmented” is the metro part. most android apps run on versions 2.x and up and many even run on 1.x. With windows that is not really true. I can get 100% of all of my old apps to work on 4.3 Android in thats . Vice Versa 95% of all apps works backwards. Android in a way is like as windows vista is to windows 7. The problem with Android Fragmentation is that the different companies can’t upgrade which is why there are generic vanilla versions (which cost more sometimes except for a few like the Nexus 4 ?) With Windows there is only 1 upgrade straight from Microsoft and it ain’t open source, and it costs $. That different companies can upgrade android they choose not to because they rather put out a new device and make people pay for it. Look at it like this the fragmentation problem boils down to this. You have the “dells” “acers” “HPs” which are like the “Samsungs” “LGs” and “Motos” which all of them install crapware, and updates are are far and few between and OEMs have to tweak the windows update to fit there customs builds. Then you have a machine that one install vanillas Windows and the get the full experience, just like Pure Android. People who buy the dells, will be very happy with TouchWiz and Motoblur and LGs whatever, and people who build there own will be happy with Pure Android. Two Windows users, two Android users. So Tmo would carry this and not the Moto X ??? I’m waiting patiently for U4A to come out for the Nexus 4.